The headlines are always full of Middle Eastern conflict — it’s difficult for the average Swat student to play close attention. However, there is one active conflict that everyone should be paying attention to: the Saudi intervention in Yemen. There are a few crucial points of background: First, in September of 2014, the Houthis — a Zaidi Shia group from northern Yemen — took control of Sana’a, the capital of Yemen, and most of what passes for centralized political authority in Yemen. The deposed Yemeni President, Abed Rabbo Mansour Hadi, fled to Saudi Arabia. About three weeks ago, Saudi Arabia started carrying out airstrikes on Houthi troops in an effort to restore the deposed government. Then King Abdullah, the King of Saudi Arabia, died in January 2015. Finally, the United States announced the tentative outline of a nuclear deal with Iran. So why is this conflict important? The Houthi war represents the start of overt Saudi aggression towards Iran. Most observers see the Yemeni civil war as another proxy conflict in a “Cold War” between Saudi Arabia and Iran. Saudi-Iranian relations have never been good; the regime composition of both states makes friendly relations difficult. Iran is a revolutionary theocracy; Saudi Arabia a conservative Wahhabi monarchy and fears Iranian expansionism. The two countries support opposite sides in Syria and Iraq. However, Saudi Arabia has taken especially large measures to counteract perceived Iranian influence. This is probably due to change in regime: the new Saudi King Salman seems to be much more assertive than his predecessor. As a result of the Saudi leadership transition and this conflict in Yemen, the Gulf states — Saudi Arabia, the UAE and Qatar — are bulking up their military big time. American defense contractors feeling the hit of shrinking Pentagon budgets are supplying the Gulf states with missiles, planes, and bombs. The United States has traditionally been reluctant to sell advanced military technology to Arab states because it wants Israel to maintain its technological edge; however, these new weapons are pointed at Israel’s biggest enemy. Qatar is expected to buy a fleet of F-15s next year; General Atomics is about to sell Predator drones to the UAE, the first time drones have been sold to a non-NATO ally. These newly armed countries might overestimate their capacity to quickly end wars. The gulf states’ desire to win proxy wars, along with newfound aggressiveness as a result of these military enhancements, might rope these countries into war. Additionally, the Iran-USA nuclear deal makes Saudi Arabia insecure. Saudi Arabia feels that the United States only cares about Iranian nuclear aggression: the American government is unwilling to prevent the growth of Iranian power through conventional means and proxy wars. Because of growing American disenchantment with Middle Eastern wars, the Saudi government feels that it may no longer be able to rely on its traditional patron for support. Regardless of whether or not this line of thinking is correct, this nuclear deal is also contributing to increased Saudi aggression as well as their military buildup. The increased prospect of an Iran-Saudi Arabia war for influence in the region is worrisome in and of itself. However, Saudi Arabia isn’t the only one who is concerned about undue Iranian influence. Egypt, Morocco, Jordan, Sudan, Kuwait, Qatar, Bahrain, and the UAE have committed planes to the Saudi Arabian intervention. In addition, the Arab League has agreed to form a joint military force. Although this military force only exists on paper, it’s possible that its proposal foreshadows unified Arab action against Iran. First, unified anti-Iran action has the potential to highlight traditional Sunni-Shia rivalry. Many commentators like to blame all conflict on religious divides between the groups, but the complicated mess of rivalries and alliances can’t be reduced to just religious tension or “ancient hatreds.” For example, Iran does support many Shia groups — most notably Hizbollah — but it also supports Sunni groups like Hamas. However, a fledgling anti-Iran alliance has the potential to inflame Shia-Sunni tensions. It’s easy to imagine increased persecution of Shia people and increased designation of Shia people or political groups as Iranian puppets as anti-Iran sentiments mount. What does this mean for the United States? The American government might take the opportunity to withdraw resources and attention from the region. Future administrations might believe that the Arab coalition would take over as “Iran-balancers”; in other words, the United States could trust its traditional allies like Egypt and Saudi Arabia to maintain stability. However, it’s more likely that the Arab coalition will further destabilize the region. Increased attention on Iranian expansion might take the focus off ISIS and other terror groups. 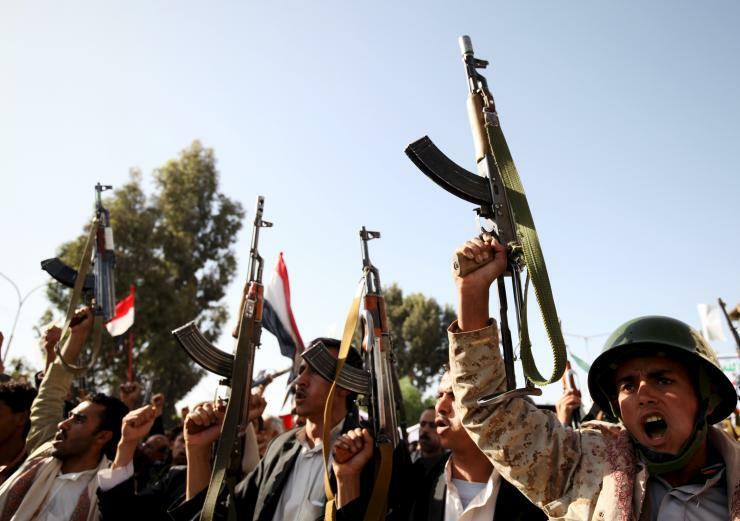 For example, the Saudi focus on the Houthis in Yemen is letting Al-Qaida flourish. Shia violence might further divide Iraq. Non-affiliated actors might seek protection from a “side” — for example, Syrian Sunni rebels might appeal to anti-Iran sentiments in their conflict, entangling Egypt or Saudi Arabia. This would cause major headaches for future American presidents, prompting American attention and possible intervention. In the long term, it’s possible that the increased unification in response to perceived Iranian aggression might foster Arab unity. Saudi Arabia already helps the Egyptian government financially — increased Arab cooperation against Iran might sponsor cooperation on other fronts. It’s also worth mentioning that the formation of an anti-Iran Arab coalition might help Arab-Israeli relations: Israel might be more inclined to act friendly towards the Arab states if they actively engage Israel’s biggest threat. Although the conflict in Yemen might seem like one of the many spurts of violence common in the Middle East, it’s pretty important. It signals new Saudi aggression and increased Arab unity. Most importantly, it sets the stage for a new era of Arab-Iranian conflict. Featured image courtesy of s1.ibtimes.com. This newly formed (or strengthened) alliance: “Egypt, Morocco, Jordan, Sudan, Kuwait, Qatar, Bahrain, and the UAE have committed planes to the Saudi Arabian intervention …” may also have important implications for Israel though. It sounds eerily familiar to the coalition that attacked Israel in the 1960s and was defeated in the seven days’ war to the surprise of almost anyone. No one can really believe that, even if supported by Iran, a local militia could not be defeated in days by such a coalition and then, like attacks that are first veiled as “manoeuvers” could just “turn around” and use all the new gadgetry (drones especially) against Israel. And it might even be that Israel, which might feel more comfortable with an Iran (or Shiites in general) being at a stalemate with Sunnis, that Israel might be drawn into the conflict just to make sure the balance of power remained intact. Good article! It’s nice to see it covered. I think it’s important to note that the Saudi coalition airstrikes have been very bad at preventing civilian casualties. One airstrike hit a camp for internally displaced persons and killed 29, while they’ve also caused civilian casualties after striking a fuel depot and a dairy factory. One airstrike hit an Oxfam storehouse, and another problem is that the Saudi blockade of Yemen has obstructed efforts to get humanitarian aid into the country.